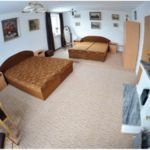 Rooms, services Vila Marie Vysoké Tatry is offering three tasfefully furnished, nice rooms for those looking for a place to stay at in Vysoké Tatry. The pension welcomes you and the complete family with child-friendly services. The pension provides a parking space for you without charging any additional costs. You can browse the Internet via wireless connection (WiFi) available at the pension. A separate bathroom and toilet are provided to all rooms. An exact and detailed list of equipment in the rooms and of the services provided by Vila Marie Vysoké Tatry you will find on the information sheet below and on the information sheet of the individual rooms, including any applicable additional fees. Location Lomnicky peak is 9.6 km, Spa Nový Smokovec 2.2 km, AquaCity Poprad 15.4 km, Castle of Kežmarok 22.1 km, Lomnicke sedlo 9.4 km, Važecká Cave 25 km from the pension. Payment The pension accepts cash only. For the reservation to be complete Vila Marie Vysoké Tatry is asking for 50% to be paid in advance. Arrival, opening hours The earliest arrival time is 14:00, the latest time to leave the rooms is 09:00. English, German, Slovak and Polish languages are spoken by the personnel. 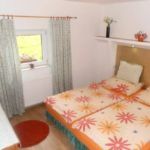 Reserve your accommodation and Vila Marie Vysoké Tatry will directly send the confirmation in 1 workday. Max. capacity: 6 persons: 4 adults and child(ren) under 15.